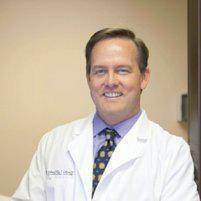 Dr. Scott Lafferty always appreciates feedback from his valued patients. To date, we’re thrilled to have collected 17 reviews with an average rating of 4.88 out of 5 stars. Please read what others are saying about Dr. Scott Lafferty below, and as always, we would love to collect your feedback. Dr. Lafferty always takes the time to answer questions and never makes a visit feel rushed. His bedside manner can’t be beat! Dr Lafferty is very professional . Friendly staff . I’m 47 hormones are all over the place . He’s helped me get my life back ! Daughter had appt but I needed a Tetanus shot. We love them! Awesome staff, Dr. Lafferty's wonderful and listens. We won't go anywhere else. Making an appointment online is easy and a huge convenience. Brief wait in lobby a big plus. In visiting with Dr. Lafferty, I found him very personable. The staff was very polite. I look forward to my next visit. Great Dr & staff !!!! Dr. Lafferty really cares about health and he listens to my concerns. I like that he is oriented to get to the root of a problem instead of focusing on an easy fix with prescription drugs. The staff are also supportive and knowledgeable. The entire staff is polite, respectful, efficient, knowledgeable, and communicate effectively. 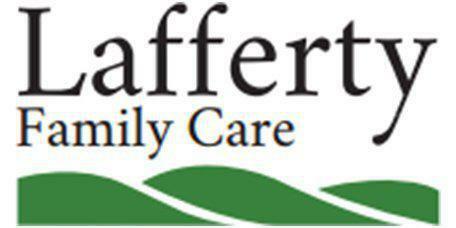 Dr. Lafferty is so down to earth and provides a variety of services. I couldn't be more pleased with selecting this office. Overall an excellent experience! I feel like Dr. Lafferty cares about his patients! No long wait times, office personnel are very friendly. I've been looking for a good doctor for 3 years now and I am so happy I finally found Dr. Lafferty. He actually listened to my concerns and didn't try to push medicine to make me stop talking. I feel like he genuinely cared about me. Also great staff they were helpful and made my first experience a great one! Doc is always amazing! He done ask what you need he actually evaluates your individual situation.